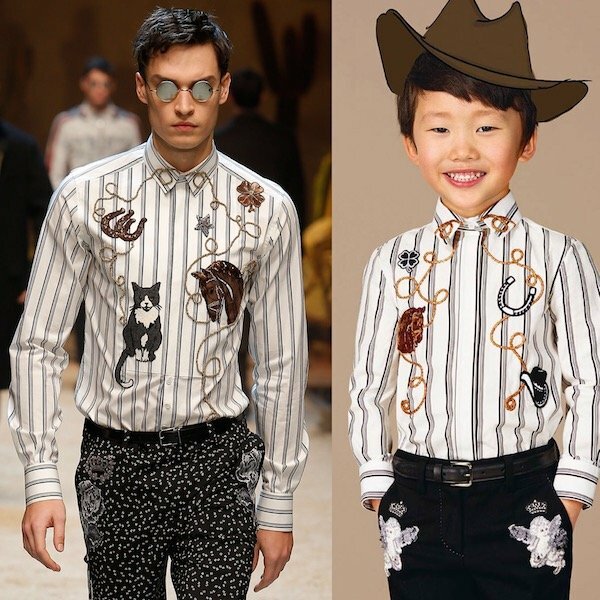 Now this is one of my favorite boys mini me looks by Dolce & Gabbana from the Sicilian Western theme featured on the runway at Milan Fashion Week. 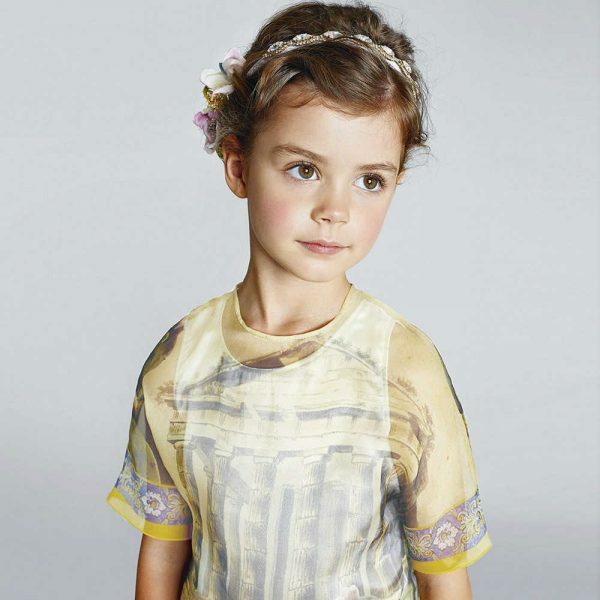 This super cute boys black and white striped shirt screams out hee haw with its stunning embroidered appliqués of a horse, cowboy hat and horse shoe with a glittery gold lasso. Looks perfect with these DOLCE & GABBANA Boys Black Cotton Gabardine Cherub Embroidered Trousers with super stylish cherub and crown appliqué embroidered underneath the slanted front pockets. Complete the look with this DOLCE & GABBANA Baby Boys Black Wool Flat Cap and Boys Black Leather Buckle Belt.